Two more officers from Mesa, Arizona, have been placed on administrative leave. Two more Mesa, Arizona, police officers have been placed on administrative leave following the release of bodycam footage showing a violent arrest. Video released on Thursday that showed a 15-year-old suspect being taken into custody included officers kicking the teen and screaming expletive-laced insults at him. "On May 17, 2018, officers were investigating an armed robbery and located a 15-year-old suspect, who was arrested and subsequently charged with multiple counts including armed robbery and aggravated assault with a deadly weapon," the MPD said in a statement released Thursday. "After a review of body worn camera footage, an internal investigation was initiated, two of the officers were placed on administrative leave." Mesa Police Chief Ramon Batista has scheduled a press conference for 5:45 p.m. local time today to discuss this latest incident. 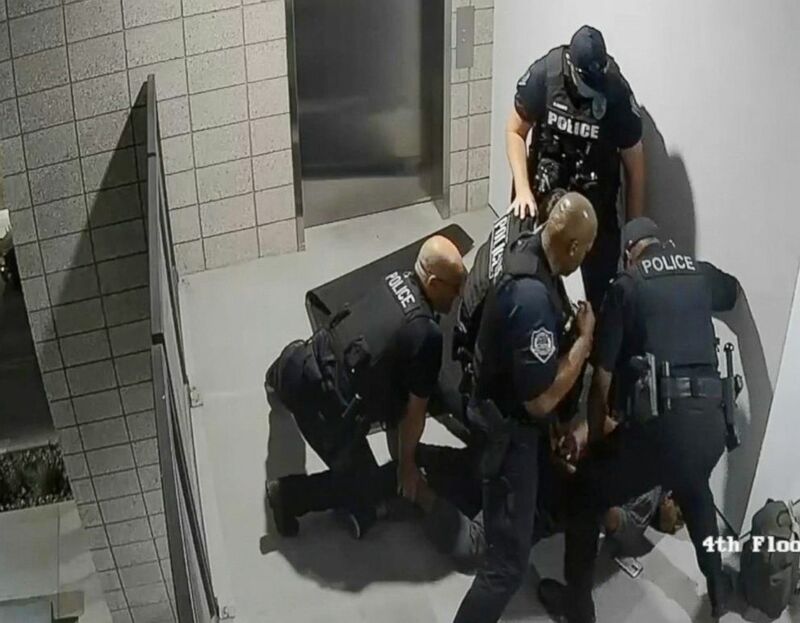 Five other Mesa cops had just been placed on administrative because of their actions seen in a video from a May 23 incident where a man was beaten while standing against a wall. Originally, only four officers were placed on leave. (Mesa Police Dept.) Four Arizona police officers are on paid administrative leave after a May 2018 incident where they allegedly punched a suspect several times. Batista, after that incident, told ABC affiliate KNXV: "This in no way represents the whole work that is done every day. They're human beings, and certainly at first glance this looks like a mistake."